Age group 40 yrs to 79 yrs. Deceased must be 18 years above & below 60 years old. He/she is getting one time financial assistance from Govt. [at] Rs-20,000/- (Rupees twenty thousand) only w.e.f 18.10.2012. BDO/E,O is the Sanctioning Authority. He/she belong to BPL/Annual income Rs-24,000/- issued by Tahasildar or RI. Disability Certificate issued by Medical Board40 % and above. 5 years and above age. He/She belongs to BPL or Annual income is less than Rs.24,000/- per year issued by /RI. 30 years & above age. The applicant can apply before the concerned BDO/E.O for getting the benefit in the beginning of specific year. Pre-matric Scholarship only for 9th and 10th class [at] 250 per month for 10 month. Degree of disability -40% and above PWDs only and regular study. The applicant can apply in online on the National Scholarship website duly recommended by the Head of institution within the fixed dateline in the academic year. Post-matric Scholarship only for +2 and +3 students [at] 300 per month for 10 month . Degree of disability -40% and above PWDs only and regular study.. The applicant can apply in online after recommended by the principal of the institution in the National Scholarship website portal in the specified fixed date line in the academic year. BPL or Annual income Rs.2, 50,000/- per year only. A Disability person married with a normal person. Disability Certificate with degree of disability 40 % & above. Marriage certificate issued by competent Authority. Resident certificate of Odisha State. Bride groom and the bride must have be completed 21 years and 18 years of age respectively. The Marriage incentive award is fixed to Rs-50,000/-(Rupees fifty thousand) only. The marriage incentive award will be fixed for three years in the joint A/C of the couple. BBSA Camps are orgranising at Block Hqrs or G.P level in every year. In the said camp PWDs are examined by the Specialist Doctors like Locomotors ,ENT, Eye MR/CP for providing medical certificate for availing different type of benefits. DDRC staff identified the Aids and Appliance, Orthosis, Prothosis and Corrective Surgery PWDs for providing the materials to the PWDs . The income and residence Certificates are issued by the respective Tahasildar of the Block for availing the different benefits. The BDOs & E.Os are the issuing authority for providing Bus-Concession to the PWDs as per norms duly countersigned by the Dist. Transport Manager. The Specialist Doctors are designated for issuing of Train pass to the PWDs. PWDs are identified in the Camps for providing DRI loan, IAY/Mo-kudia/PMAy skill Development /Vocational Training etc. in the said Camps. The BBSA Camps are organized in every year at Block & G.P points for identification & distribution of different benefits in work foot manner to the needy PWDs for their better living of day to day life. PWDs must be 18 years and above. Both BPL & APL PWDs may be selected with 40% and above disability. Bank loan Rs.10,000/- to Rs.20,000/- will be sanctioned with [at] 4% interest per annum. Must be small unit or Trade adopted for livelihood and self –employment. To improve the quality of life of the older persons by providing basic amerit is like shelter, food, medical care and entertainment opportunities. To expand outreach activities for welfare of Senior Citizens & create facilities for providing, comprehensive rehabilitation services to the vulnerable elderly. To encourage Voluntary action and participation of all stakeholders for ensuring effective implementation of maintenance and welfare of parents& Senior citizens Act’2007 and both National and state policy goals. To encourage productive and active ageing through providing support for capacity building of Govt/Non-Govt. organization .Panchayati Raj institutions/Local bodied and the community at large. The Govt. of Odisha has implemented a scheme SAHAYA for beggars to prevent them from begging at many places like temple, Maszeed, church, market square etc. and they will be assisted with pension, IAY house NFSA and Pre & post Matric Scholarship for the educated children & Beggars. Also provided skill and Vocational training for better surviving. The Govt. of Odisha has implemented a scheme SWEEKRUTI for transgender. For identification of transgender they will submit the affidavit/Self Certificate as they are transgender. And they will be assisted different benefits by the Govt. i.e. Pension, Scholarship Ration Card ,skill Development and Vocational training for rehabilitation and better living of life. Now only one M.K.C G School for the Blind and Deaf (special School) At/Po- Mohan is functioning in Gajapati district. Grant-in-Aid received from Govt.of India. It has been recommended for establishment of mental Retarded Special school At/po- Ranipeta for consideration of under Kashinagar Block during the year 2017- 2018 for consideration of Grand-in-Aid. Hearing & Speech impaired special school submit to Govt. for sanction. 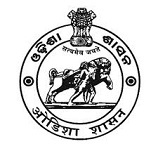 District Social Security Officer, Gajapati.